A full-service independent insurance agency based in Tampa, Florida and serving the entire state of Florida. At Omega Insurance, a full-service insurance agency offering auto insurance, home insurance, business insurance, flood insurance, and much more, we provide a combination of sound advice and unparalleled customer service while making the process of buying insurance easy and enjoyable. By adopting new technologies into our routine processes and by constantly upgrading the skill set of our team members we deliver exceptional value to our customers who are proud to tell their friends and relatives that they do business with Omega. Omega Insurance Agency, Inc. was incorporated in May 2012. The mission of Omega is to provide products and services of high quality, as well as protection and value pricing to households and individuals throughout the State of Florida. In addition to the business objectives, Omega Insurance Agency aspires to become an outstanding corporate citizen in the community. The key to success for Omega is based on offering a variety of services and products; on delivering timely and accurate service, and on developing one-to-one relationships with customers. Strong reputation, honesty and integrity are the foundation of the agency. Kent Starling is an industry veteran with over 16 years’ experience in the insurance industry. 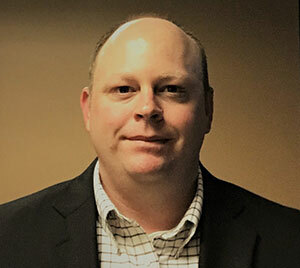 Kent began his insurance career with State Farm Insurance Company in 2002, spending time in various underwriting roles, to include Auto, Home, and Flood. In 2009, Kent owned and operated an independent insurance agency with a dedicated focus on Personal and Commercial lines of business. Kent joined HCI Group in 2011 through HCI’s insurance subsidy, Homeowners Choice Property and Casualty Insurance Company, to assist with developing and growing the underwriting department. In 2016, Kent was named Principal of Omega Insurance Agency, another HCI Group subsidy. As a CPCU and experienced industry veteran, Kent brings his knowledge and experience to Omega to serve one simple goal, “Clients come first.”. Laura joined the Omega Insurance Agency in May, 2017. However, she is not new to the insurance industry. She started in the industry in 2001 with Motorists utual in Ohio working in the Auto and Home underwriting departments. Laura has been working as an insurance account manager since 2012. Drew Arnold joined Omega Insurance in February, 2017. Having received a Florida General Lines Agent License in 2004; as well as a Florida Life, Health and Variable Annuity License in 2005. Drew specializes in property & casualty insurance, assisting clients throughout the Tampa Bay area and the entire State of Florida with ll of their insurance needs. 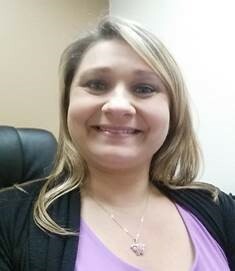 Jamie is a great addition to the Omega Insurance Agency. 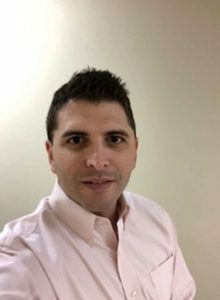 Jamie comes to Omega with over seven years of professional Property & Casualty insurance industry experience and is an expert with regards to Homeowners, Auto, Motorcycle, Boat, Golf Cart, and Liability Insurance. He is also experienced in varying types of Commercial Insurance. Jamie is originally from Lancaster, Pennsylvania and moved to Florida from Cleveland, Ohio in 2006. In his spare time, Jamie enjoys CrossFit, running, swimming, and competing in US Master Swim meets.